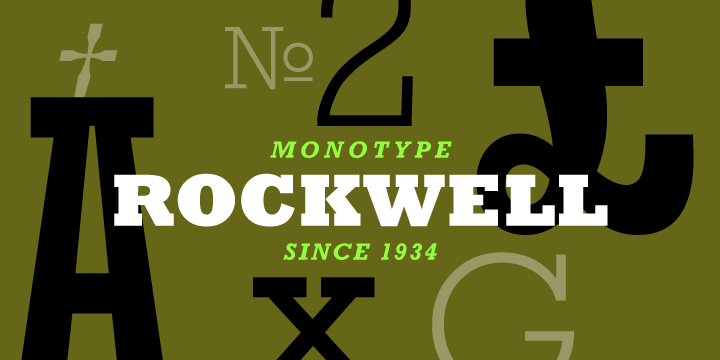 Rockwell from the Inland Typefoundry from St. Louis in the year 1910. It was originally distributed from Inland and thereafter, ATF. F.H. Pierpont from Connecticut supervised the updating of this Litho Antique in the year 1933. Later Rockwell was prepared as a competitor to Memphis. However, Pierpont ignored the elemental factor of the contemporary European slabserifs in accord with the earlier American model.